Welcome to Mark Bowlin Books and the 1630 Press -- The home of the award-winning Texas Gun Club series. These are the stories of two soldiers' journey from South Texas through wartime Europe. Each novel is set against the backdrop of a battle fought by the 36th (Texas) Division in WWII, and for fans of military adventure and historical fiction, it doesn't get any better than this! Experience the battles of Salerno and San Pietro, the catastrophes of the Rapido River and Monte Cassino, and the triumph of Velletri through the eyes of cousins Perkin Berger and Sam Taft. 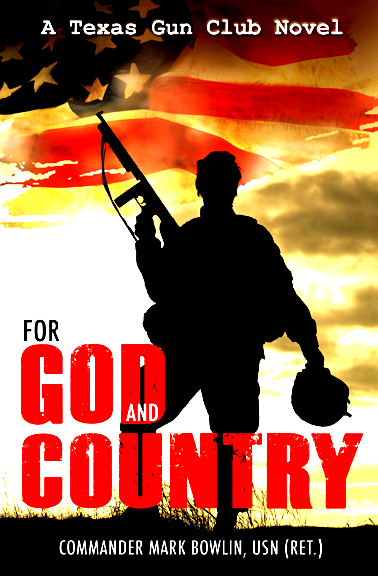 It's hard-hitting adventure fiction that brings to life the true saga of the Texas Division in World War Two! Artwork for The Texas Gun Club by Keith Rocco for the National Guard Heritage Series. Artwork for The Keys of Redemption by Billy Tucci. "They had returned to die with the company, but the killing had already begun." The soldiers of the 36th Division, Texas National Guard, were the American assault force that fateful day in 1943. Army intelligence said the landings would be unopposed--just a walk on the beach; the Texans would reach their objectives by noon and take Naples in four days. Fall, 1943: The Allied advance up the Italian peninsula has ground to a halt and the prospect of taking Rome before Christmas seems more distant than ever. 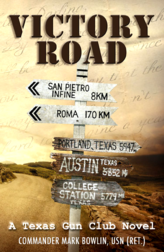 In their first action since Salerno, First Lieutenant Sam Taft and the boys of Able Company are sent to wrest a lonely stretch of road away from its German defenders--the Italians call it Highway 6, but the boys of the Texas Gun Club know it as Victory Road. As Sam slugs it out in the valley, somewhere beyond the highway high up in the mountains his cousin, Captain Perkin Berger, struggles against harsh elements and murderous German intelligence agents in his quest to be the first American into San Pietro. January 1944: The great Allied advance up the Italian peninsula remains stalled before the formidable German Gustav Line at Monte Cassino. For the American soldiers in the valley, there is nothing to do but wait as General Mark Clark prepares his plan to shatter the German defenses and continue 5th Army's march to Rome. Captain Perkin Berger and 1st Lieutenant Sam Taft are spared the monotony of waiting. They're given a week of well-deserved leave in an Adriatic resort town, where they have no responsibility other than relaxation. 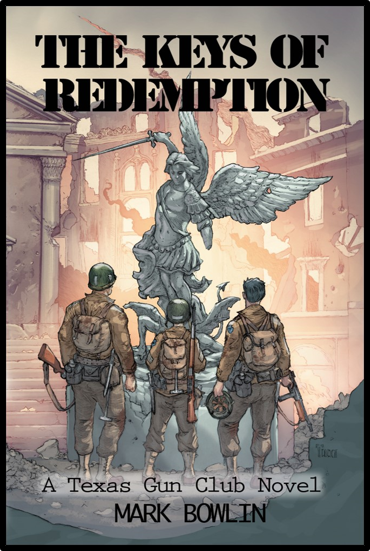 Proving the old maxim that "no plan survives first contact with the enemy," Sam and Perk find themselves involved in the Canadian battle at Ortona, and once again, they are thrust into the middle of a secret war between the Third Reich and the Vatican. When the cousins return from their R&R, it isn't long until the order is given. Against all sound military judgment, the exhausted and under-strength Gun Club is to cross the Rapido River and breach the Gustav Line....alone. ...or get the whole set for only $63.75! Please remember to tell Mark how you'd like your books signed! The winter of 1944 found Captain Perkin Berger wounded and his cousin First Lieutenant Sam Taft taken prisoner after the attempt to breach the Gustav Line at the Rapido River tragically failed. Following the heartbreaking destruction of two regiments of Texas soldiers, the men of the Gun Club remained on the line and in harm’s way. When the orders came to seize the Abbey of Monte Cassino, the Texans’ capacity to withstand the trials of war was stretched to the breaking point. As Perkin remains to pick up the pieces of the catastrophe of the Rapido River, Sam struggles to find his way back to the Gun Club. Meanwhile, German intelligence officer Douglas Grossmann receives a last chance at redemption as the paths of the three officers dramatically converge in the mountains of Italy. 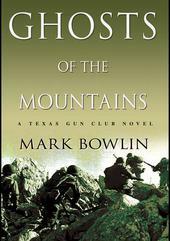 Ghosts of the Mountains is the fourth book in the award-winning Texas Gun Club series, and Bowlin’s masterful account of one of the hardest-fought battles of World War II is a testament to the bravery and endurance of the soldiers of the Texas Gun Club. Click here to read the Prologue to Ghosts of the Mountains. Click here for a free PDF copy of "British Intelligence and the IRA: The Secret War in Northern Ireland, 1969-1988"
The situation at Anzio was desperate…four months of deadly stalemate where divisions fought until destroyed. 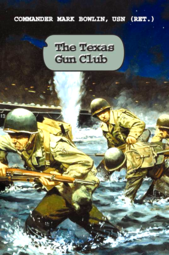 It was a battle with no end in sight when the Texas Gun Club was sent to Anzio. In a perilous roll of the dice, the soldiers of the Texas Gun Club take a terrible chance in the last hours of May, 1944. In one of the most audacious moves of World War Two, the hard luck division breaks the stalemate and opens the gates of Rome for the Allies. 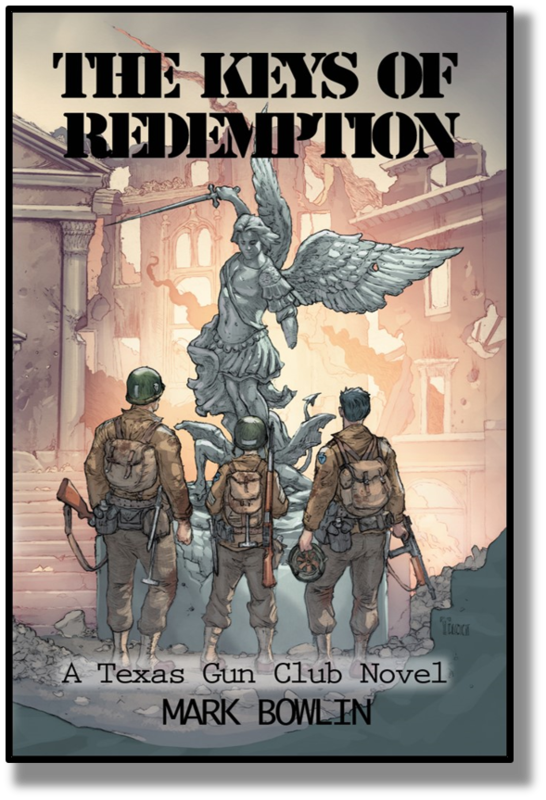 The Keys of Redemption is the fifth book in the award-winning Texas Gun Club series.